An AMD Ryzen 3000 processor has made its first appearance on leak-friendly benchmarking software: SiSoft Sandra. The engineering sample is rocking four cores and eight threads, and was spotted running on an MSI MEG X570 AM4 motherboard. Gamers got their first glimpse of AMD’s Ryzen 3000 CPUs back at CES. However, AMD has managed to keep further information under wraps ever since – until now. While a few cores off the 16-core behemoths that could one day make its way into our gaming rigs thanks to the Zen 2 chiplet design, this four-core chip is a little glimpse of what we can expect from 3rd Gen Ryzen come a few months time. The chip is listed as an engineering sample (via Tom’s Hardware), which could mean its specs are subject to change before it takes its final form as a shipping product. Nevertheless, this four-core, eight-thread CPU is likely a precursor to a finished chip in the Ryzen 3 family. 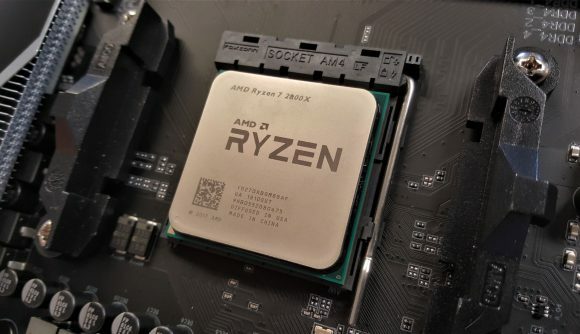 It was spotted at 3.4GHz base and 3.8GHz boost and features 4MB of L2 cache and 16MB of L3 cache – double that of the equally threaded Ryzen 3 2300X, and is rated for the same 65W TDP. MSI’s MEG X570 Creation motherboard was used for the purposes of the SiSoft run, which could well indicate this leak comes from the motherboard company’s own testing with early engineering samples. With that mid-year release window creeping up fast, mobo manufacturers will have certainly have had their mitts on AMD’s latest chips to give their X570 mobos a run for their money with genuine silicon before they’re inevitably shown off at Computex in May/June. Rumour has it that AMD would be manufacturing and designing the X570 chipset in-house, returning to its ATI chipset roots. However, there were some convoluted reports about ASMedia’s involvement in the whole affair following. Either way, the X570 chipset would see the introduction of PCIe 4.0 in the consumer space for the first time, with high-end boards such as this MSI MEG X570 Creation likely to make the most out of the increased platform bandwidth. There’s been little word on entry-level mobos barring a single report that claims B550 mobos are set to launch the month following X570. But that needn’t be an issue for budget-conscious gamers. AM4 mobos from previous generations – the 300- and 400-series – are already receiving BIOS updates to unlock compatibility with AMD’s unreleased CPUs. Even A320 and B350 motherboards, which were once expected to be left by the wayside, are receiving the updates. AMD’s CEO, Dr. Lisa Su, will be giving a keynote speech over in Taipei on May 27 to kick start one of the world’s largest tech shows: Computex 2019. 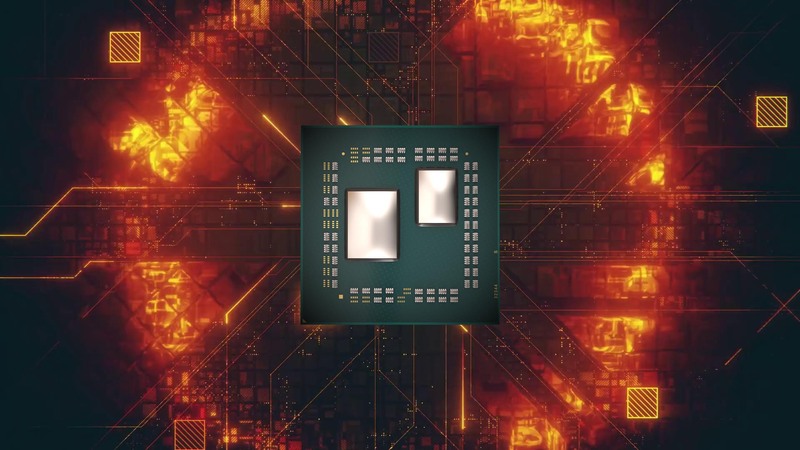 During which, Su is expected to share “details of upcoming products” and we highly suspect AMD Ryzen 3000 CPUs to have a starring role in the proceedings.